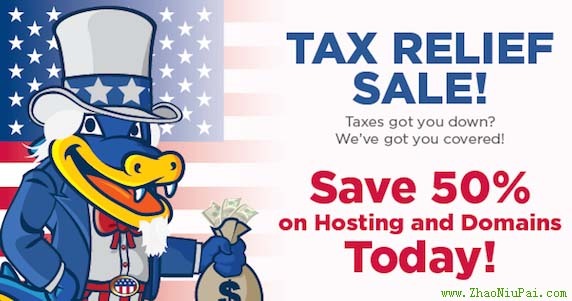 Many people are getting their tax returns back so we figured why not promote HostGator and a 50% off sale?! Today only, coupon code TAX2014 will get you 50% off all new hosting packages plus 50% off select domains! 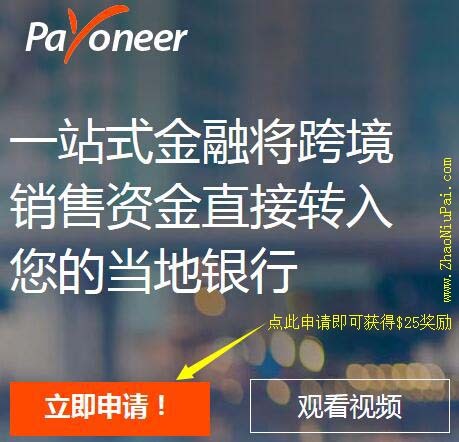 2014年4月28日更新：鳄鱼主机优惠蛮多的，今天又来一粒HostGator VPS Packages Now 50% Off! We have upgraded all of our VPS packages with additional CPU, RAM, Disk Space, and Bandwidth, and are now offering them at 50% off as a special kick off for these superior plans! These newly upgraded packages will convert at a much higher rate than our past offerings, so now is the time to promote them. This discount will be available for a limited time only! 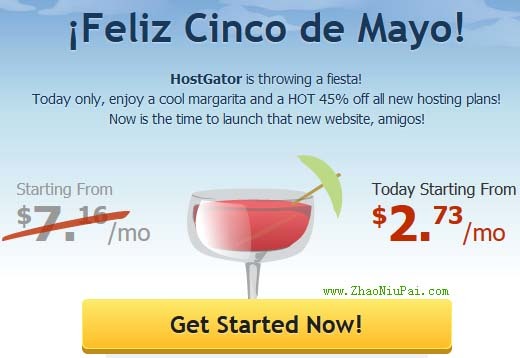 HostGator Cinco De Mayo Sale - 45% Off! 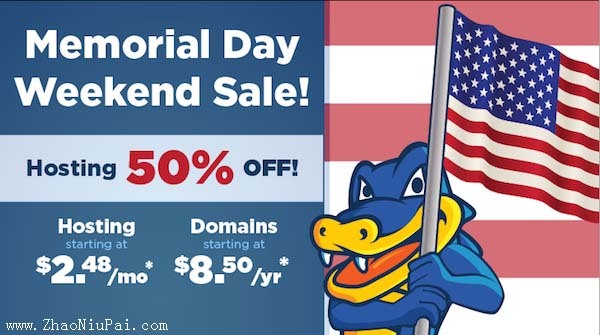 HostGator Memorial Day Sale - 50% Off!